PRIVAT HOSPITAL is a 75 bed multispecialty modern health care facility, which attempts to make the experience of a hospital stress free under the circumstances of illness or injuries. 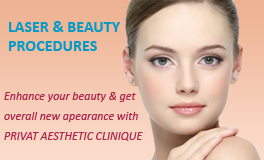 It was founded by Dr. Kalyan S Sachdev in 1995 and has since grown in stature and reputation. Our superspecialty hospital operates under a high International standard of Hygiene and Medical Care. It is clean, spacious and well lit. The corridors and patient rooms have also plenty of sunlight. The diagnosis and treatment of the patients is carried out by highly qualified Senior Physicians assisted by team of doctors and paramedical staff. 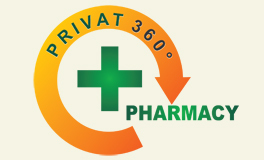 Privat has a experienced team of best pediatrician in gurgaon, best nephrologists, best gynecologist, best dentists. Privat Hospital, today serves hundreds of patients with delivering 20 Years of healthcare excellence. Patients from Europe, the United States, United Kingdom, Japan and local expatriates including our many patrons have been seeking treatment here at Privat Hospital. Hence building a strong and trusted repute over the years in the region, Privat Hospital and its team of dedicated professionals are proud to be. Privat Hospital is the one of the most preferred hospital for delivery & also deals with all complicated high risk pregnancy cases. These check-ups are very useful in early detection of all types of illnesses and risk factors.Regular medical Checkups are essential because early detection is half the battle won. Copyright © 2019 Privat Hospital - Dr. Sachdev. All Rights Reserved. We are currently upgrading our facilities. ©Copyright © 2013-19 Privat Hospital - Dr. Sachdev. All Rights Reserved.